Opera has announced a major new update to its desktop browser today, which includes several key future-proofing features. 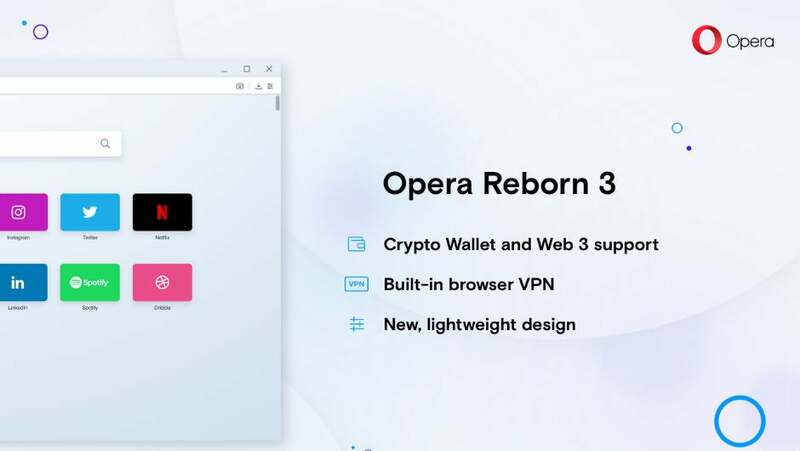 Along with a new dark mode, Opera’s desktop browser gains a built-in cryptocurrency wallet and support for Web 3.0 applications. This big updates makes Opera one of the most enticing Chrome alternatives on the market – let’s not forget, it already features the built-in Opera VPN. Web 3.0 is, according to experts, the next big internet development. Web 3.0 probably won’t look drastically different from the (Web 2.0) internet we know at the moment. However, it will represent a big change in the way we use the internet, and the types of services we use online. In Web 3.0, core user data won’t be managed any big, centralized companies such as Amazon, Google, or Facebook. Instead, we’ll use smaller, decentralized apps. What’s more, users will be able to actually own their data and will have a far greater degree of privacy. This extra layer of control over our data largely comes from blockchain technology and cryptocurrencies, hence Opera future-proofing its desktop browser with a built in crypto wallet. What About Opera’s Dark Mode? 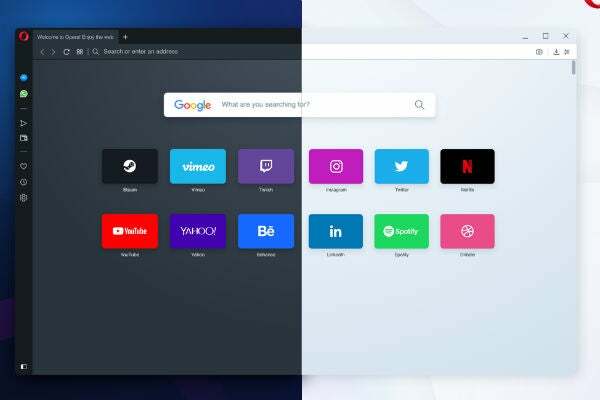 Along with the big future-gazing updates, Opera is also bringing two new visual themes to its desktop browser – a dark mode and a light mode. The dark mode, while also looking great, will help to preserve battery life and reduce eye strain during long browsing sessions. The new light mode, however, opts for a cool blue hue. It’s certainly a unique look and will make a nice change from the bright, white browser windows popular at the moment. When Can You Get the New Version of Opera? Right now. You can download the latest version of the Opera browser here. If you’re already using Opera, you should receive the new features as an update. If you’re not using Opera, and dread the thought of ditching Chrome, you should really consider making the switch. Opera, along with all the features above, offers a free, in-browser VPN and loads of Chrome-like extensions. You can also transfer all your data from your current browser to Opera, making the switch quick and easy.